Does anyone have the exact release date of this single in the UK? How does Friday 17th May 1963 sound. That is the date I have for that release. Hollies Music Arcive Say`s First of May 1963? The music archive on this page uses the first of the month for almost all the early releases of 45s. That date usually is not the actual release date. 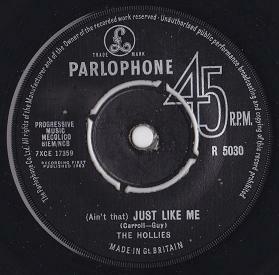 The Hollies at Abbey Road say`s Recorded April 4,relesed 17 May 1963.